Poverty and hardship have left deep impressions on the Korean cultural landscape many of which are still evident today. Korean food, often reflects former economic hardships which is one reason why black-noodles (자짱면) is still a favourite when students graduate. Though many families now go to elaborate buffet restaurants, black-noodles are still eaten to mark graduation as it was at one time considered a ‘luxury’ food. The obsessions Koreans have with food, which might be expected if you are starving, almost matches the British obsession with the weather, the result of living in an unpredictable climate. I am still not used to responding appropriately when a Korean asks me if ‘I’ve eaten’ and on so many occasions still reply with a list of what comprised my last meal or perceive it as the opening for an invite to dine together. Instead, they are really inquiring as to my general well being but so ingrained has this become that for some, even this is not implied and the comment reduced to a basic nicety void of any real meaning and synonymous to British observation about the weather. Historically however, it developed at a time when many people were starving and was a question of much deeper significance. Dog stew (보신탕), silk worm (번데기), grasshopper (메뚜기) and a whole range of roots, woods and barks, many of which grow in the UK (shepherd’s purse 냉이, burdock 우엉, ㅡmugwort 쑥, etc, but which are no longer commonly used), reflect the former scarcity of food. Former high infant mortality rates can be attributed to the custom of a child being one year of age upon being born and with infancy and childhood being so precious, when circumcision was introduced to the peninsula, in the 1950’s, it was an ordeal sparred babies and infants and instead postponed to early adolescence. In 2006, Korea was cited by a UN report (link) of having the world’s lowest infant mortality rate of 3 (3 in 1000) compared to 45 in 1970. 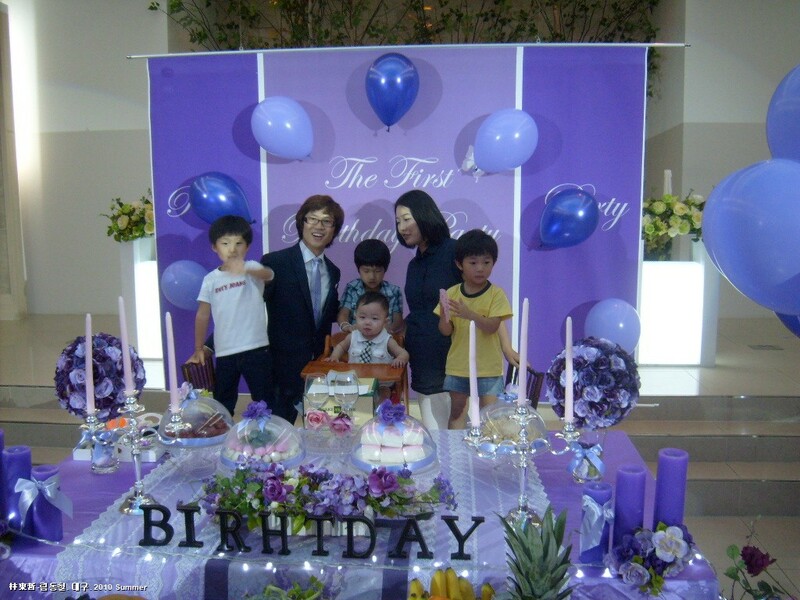 A further development of the high infant mortality rate was the importance of a child’s first birthday celebration (돌잔치), when in Korean reckoning they are two years old. 45 deaths per thousand within the first year doesn’t seem high until you consider that currently, 49 deaths per 1000 is the global average and that today’s most poverty stricken countries have infant mortality rates of around 50 per 1000. The fear your baby may have been one of the unfortunate led to babies, pre and post natal mothers being secluded until deemed healthy. The threats to life weren’t just from disease but also from famine and the wide swings in the Korean climate. Even today, circumcision is usually carried out in the winter rather than the summer vacation where the incredibly high humidity prolongs healing and increases the chances of infection. 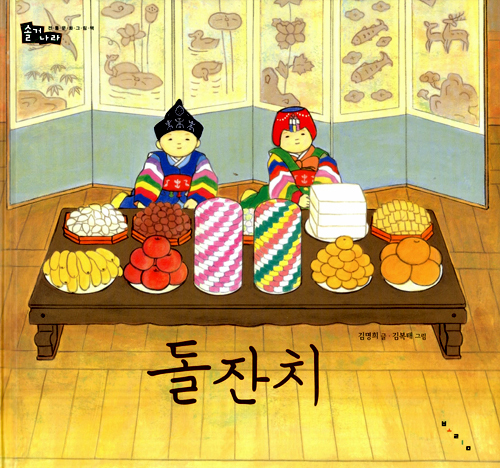 The first significant event to celebrate was a child’s 100th day celebration, the baek-il (백일). However, as might be expected, this was a fairly low-key affair and the baby wasn’t ‘publicly’ paraded. On the child’s first birthday, at two years of age, it was time for parents to present their baby to the world and hence the lavish dol-jan-ch’i (돌잔치) celebration. In today’s affluent Korean society, this event usually takes place in a large, specifically designed function room to which families and friends are invited. Historically, and traditionally, the celebration varied depending on local custom. 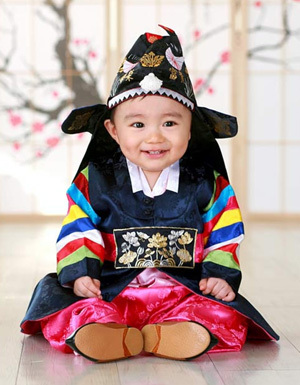 Today, the baby maybe be casually dressed or might be attired in the highly colourful dol-bok (돌복) which differ according to gender. An elaborate buffet is provided which, along with the usual food one might expect, are foods of a more traditional and symbolic nature. 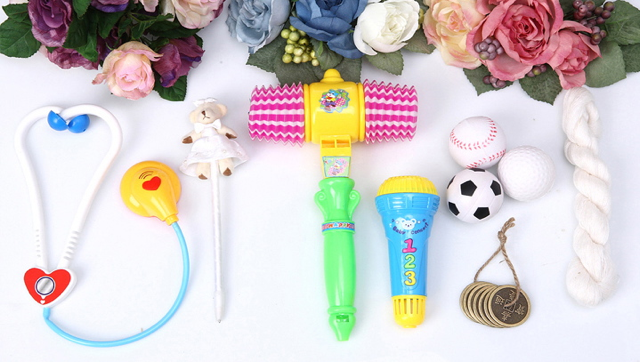 However, numerous other gifts might appear, such as a microphone for a potential singer or a gold ball for a golf player. Nowadays, you seem to be able to add what you want. The first birthday party has a long tradition and there are numerous variations to the celebrations which I have not done justice to in this short account. A good starting point for more in-depth information can be found at Wikipedia. 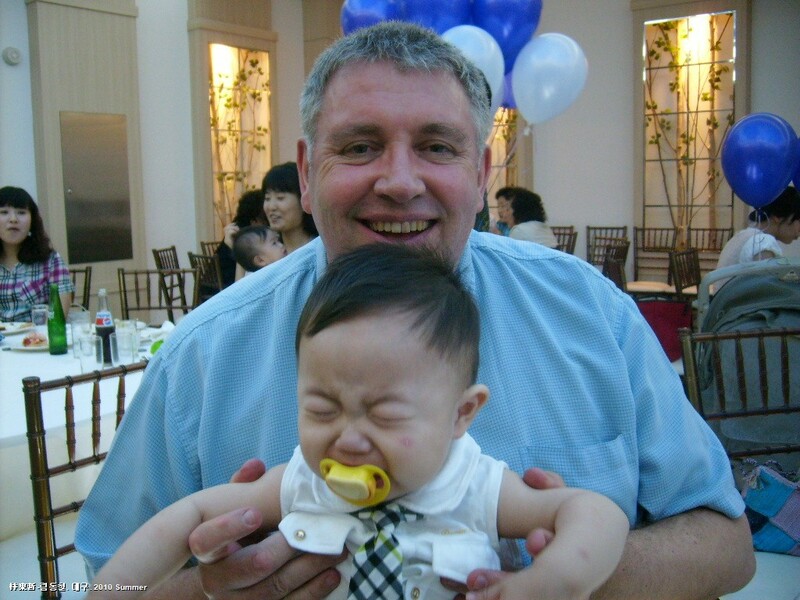 I went to a friend’s friend’s baby’s first birthday at a banquet hall a while back. As the only foreigner, the MC came over and asked (well, insisted) that I go up front and sing “Happy Birthday.” I think the idea was that the baby could start learning English toute suite. It was a little awkward (I hate singing) but pretty fun as well. I would quite hate that. I’m a musician but cannot sing for the life of me and certainly not in public. Please tell me you noticed but gracefully bowed out of correcting the massive ‘BIRHTDAY’ spelling error in that poor kid’s photo. Years from now when every Korean is fluent in English, he’ll look back at that picture and cringe. Jake, I was frantically looking for my spelling mistake and couldn’t recall where I written it in capitals. Then I re-read you message and realised the error is on the photo. I hadn’t even noticed it! Before the time you mention, I may crop it! Thanks! Keeping the mother and baby secluded (for at least a month) is still very popular nowadays. My in laws gave us an outfit for when we take the baby outside. It took us a minute to understand the significance of this, as to us it seems that potentially all outfits could be worn outside, but no, this was one outfit, to be worn the one time the baby leaves the house to go to the doctor for his first checkup. Other than that, the little guy is supposed be confined indoors—with the air conditioner off. In August. A lot of the other expat parents here do try to make it outside during the first month, but they usually report that they are accosted by ajummas who alternatively manhandle the newborn baby (ack!!) and scold the mother for bringing them out into the world too soon. These traditions are starting to change (so I hear) but old ways die hard.